To use the intellectual property protection system as a stimulus for the social, cultural, technological and economic growth of the country. To establish a comprehensive well-balanced and effective system for the protection and enforcement of intellectual property rights. To formulate and update laws in accordance with international standards on all subjects of intellectual property. 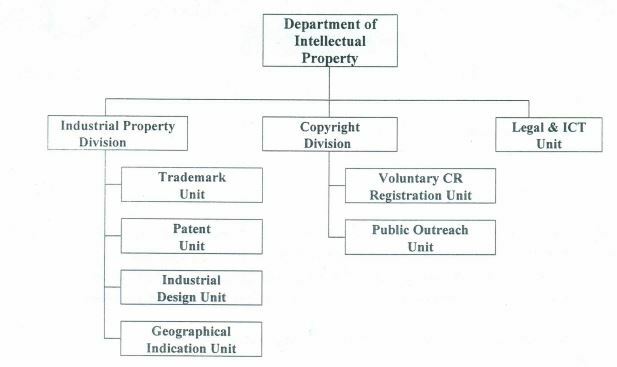 To establish a system for the grant of titles and rights to intellectual property. To assist the right holders in commercializing their works and maximizing the economic utilization of their intellectual property assets. To strengthen and improve the mechanisms for the enforcement of intellectual property rights,(IPRs). To undertake exploratory groundwork on the role of IPRs in the protection of cultural heritage and Traditional Knowledge, (TK). To build up an international network of treaty relationships for protecting and safeguarding IPRs of Bhutanese nationals abroad. To strengthen the institutional and professional capacity of the Division to fulfill its mandate.